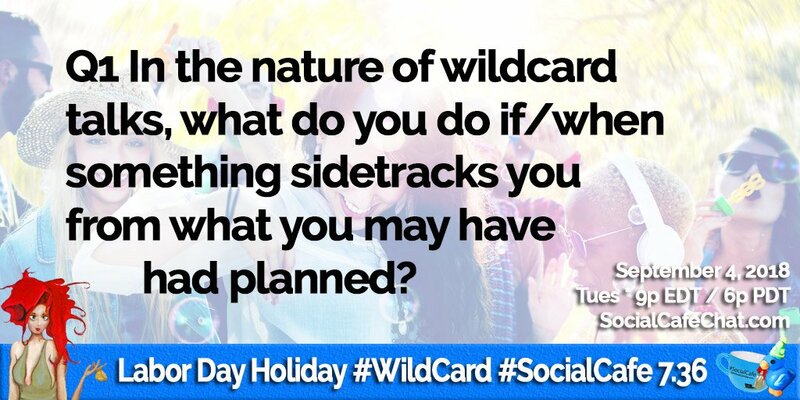 In the nature of #wildcard talks, what do you do if/when something sidetracks you from what you may have had planned? 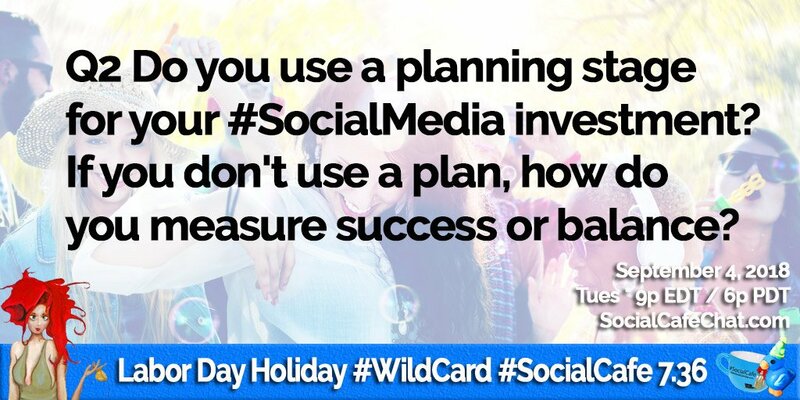 Do you use a planning stage for your #SocialMedia investment? If you don't use a plan, how do you measure success or balance? One thing that has been shown to hold back success is not having a definition of success. 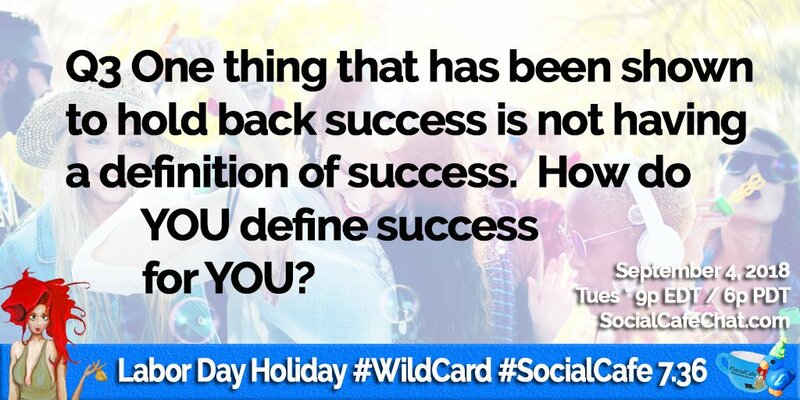 How do YOU define success for YOU? The best relationships are those we invest in and nurture. 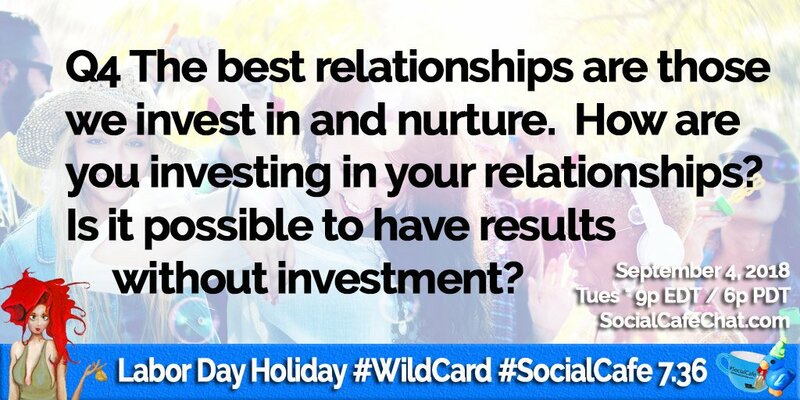 How are you investing in your relationships? Is it possible to have results without investment? 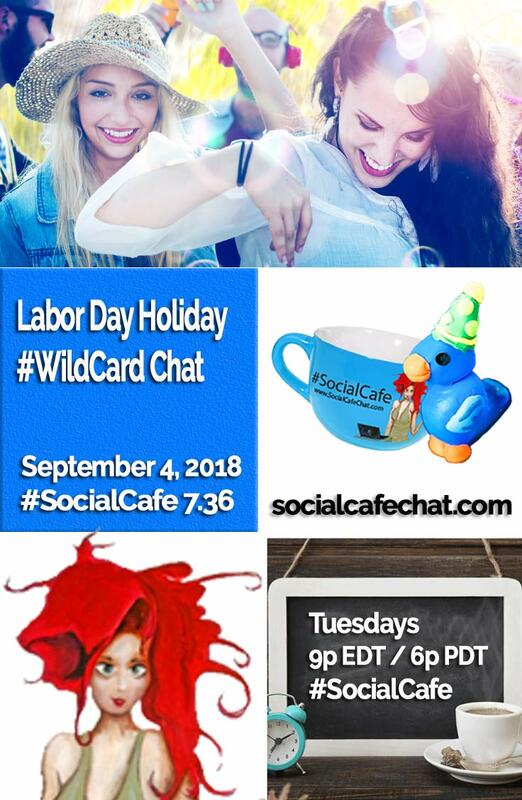 This SocialWebCafe Twitter Event is about Labor Day Holiday #WildCard. In honor of the U.S. holiday of Labor Day, we are taking it easy and taking a 30 minute chat time together for the real work begins. What does that mean? Well, that is the basis of the holiday, right? We take a break before the Fall season and all of the hard work begins :) Ok, we are always taking it easy, sharing, spending community time together, here at #SocialCafe. Am I right? :) Oh - and Kathryn ("Kat") will be hosting tonight's chat. Thanks, Kat! Thanks, #SocialCafe!